This is my 3rd project for StarCraft II. I've really enjoyed the story campaign of StarCraft and have played through all three. Terran the Wings of Liberty, Zerg Heart of the Swarm and Protoss Legacy of the Void, along with many different custom campaigns made by fellow mapster. Take command of The Eradicator and the survivors of the Purifiers war. 8 Missions with different terrain and environment. Focus heavily on RPG element. 2 Cinematic maps around 10 minutes each. Heroes Mods and Maps file [Inside zip bundle]. Find it too easy or too difficult, have something that you like / don't like?. Or simply just wants to talk about it? Alleyvipersc2 for Cyber Ninja, DylannaOkyl and Elders model. Alleyvipersc2 for SnakeHead Medic and Primal Zerg Buildings model. EivindL [PerfectSoldier] for mission launcher template. VastanX [Time Convergence] for mission launcher update template. GhostNova91 for Umojan Marine model. DudkiSC2 for Barry Baldwin + CPG reference. Hammer107 for Adept variant, Nyon ,Karass and Kel-Morian Medic model. Wingedarchon for Adept Talon , Adept Forged and Purifier Photon Cannon model. aZergBaneling for Primal Zerg extra attach point. 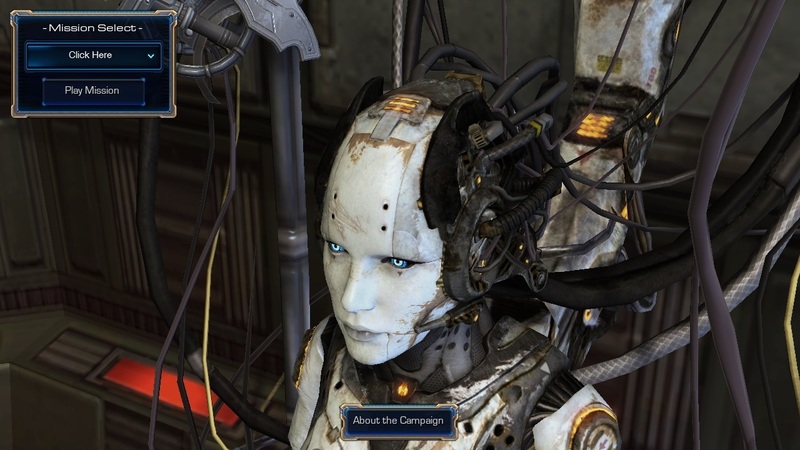 herdal8 for many awesome purifiers models ! kkangtemplar and Taylor Mouse for Diablo model. Kazor132 for Tal'darim Zealot Portrait model. Waffuru for awesome cover on Bipolar Nightmare ! Nier : Automata for being awesome ! TChosenOne for Videos playthrough and for testing Mission 03. Pareto optimal RUC for Videos playthrough. Starcraft II community for June Monthly test ! I have been watching you for a long time, as a very active user, always playing in the campaign as soon as they appear on the mapster))) An example of this is Race with Destiny, the campaign has just come out, and you have already written it here))) For this you special thanks. Hello there, sorry for the late reply. Thank you for playing Hammer of Dawn and Noir Automata and also translating them. Yes, the manager contacted me on discord. And i've leave a message there also. I hope you will continue your support for Starcraft. The fact that he replied late is not a big deal. The most important thing is that they answered at all, but CybrosX is completely silent. 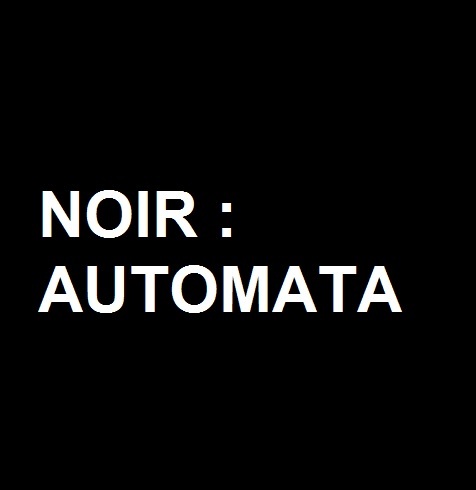 In short, at the weekend there will be a translation of Noir: Automata, but I have a conversation with you, so many bugs were fixed by me, the loading screens were also translated (they inserted pictures in Russian), if you have any updates in the future, please update in our version, because a lot was done (the gameplay was not touched), in order to edit some descriptions for the units, I had to go into the editor and many lines were added accordingly. We do not plan to throw translations, we are already voicing existing campaigns, we are planning to translate ALL of your campaigns. Waiting for your reply. Well, I've updated Noir : Evolution with new portrait, Improved A.I and terrain polishing. I think I've done what could be done for Evolution. I've finish updating Automata, unless future Blizzard patches broke the game I won't be updating Automata anytime soon. For ascension however, you might want to wait. Since I've received report of game breaking bugs in the prologue, and the ending cutscene not playing in later mission, as well as missing portrait etc, I will update Ascension as soon as I finish revamping Hammer of Dawn. Well, one more question, what are the changes in Hammer of Dawn? Will the text be affected? Worry not, the revamped version is separate from the classic. Meaning there will be 2 version of Hammer of Dawn, the Classic and the Revamped. The classic will remain the same and will still be available for everyone to download. I might add a mission launcher for the classic later. The Revamped is it's own custom campaign. But there is bad news, the translation of Noir is delayed, we have strong problems among the team, we need to solve the problem, because one participant has cooked such a game that I just cannot pass on ... I translate as an interpreter, so I hope that most of my words will be translated since I was thinking, not Google. In short, the weekend will not, I will write to you when we are preparing. Sorry about that, few months back i receive a suggestion to put everything in a bundle. Consider bundling everything together and naming the maps so that they list in the order they should be played (specifically the cinematics and where they land between the missions). I've finish revamping and re-arranging the campaign. Currently testing them now. Should be able to upload the bundle tonight. But it is quiet big, might take a while to upload it. I've upload the new complete campaign in zip file [200mb++]. Am I doing something wrong here? I get killed within the first 5 seconds of the maps? the enemies kill me immediately. Which map was it? and if it is possible please provide few screenshots so I could address the issue better. Made a simplified timeline for Noir: Automata for those who wish to play it as a straight forward campaign. Be warned ! It could spoil the game. Small update on 07 Final Stand. Hi Edhriano, one quick question. But the mission launcher, does this go also in the install folder, or the folder that is created in the documents and settings folder? First off let me say: the idea with that mission launcher is really cool. But I think I'm doing something wrong. but every time I want to start a mission through the mission launcher, I get an error that it cant find the map. I'm almost certain that my map structure is haywire... could I just play each map by opening that one directly, or is there some kind of uprade-thing that spans over multiple missions? I put all the map files there, but I think it is ok if you want to put the launcher anywhere else.